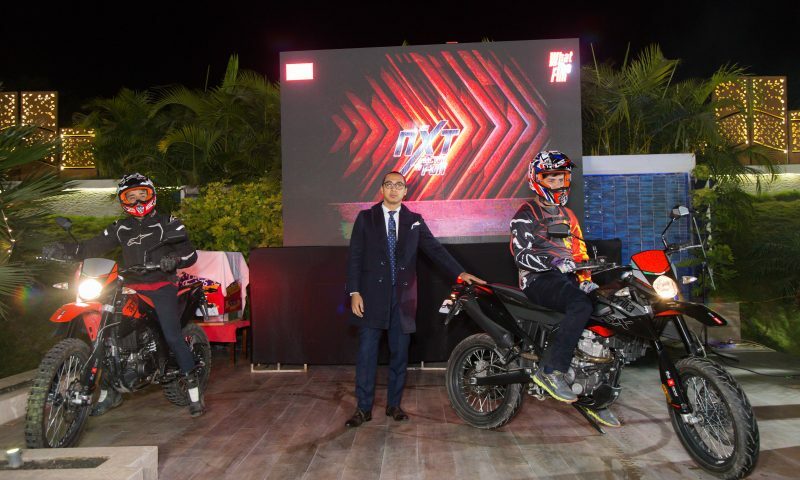 In an interesting turn of events, Aprilia is planning to launch the all-new Aprilia Storm 125 in India soon. So, what does Aprilia Storm bring to the table that Aprilia SR 125 missed? So, the list of changes is somewhat minimalistic, nonetheless, the changes are welcoming. If you were holding out on the Aprilia SR 125 just because you didn’t like the color, here’s a piece of good news! 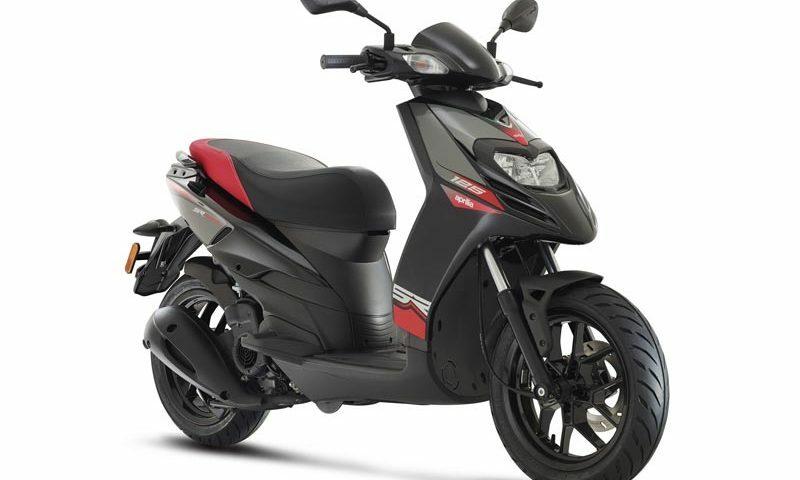 You will get two different color variations in Aprilia Storm 125. In Storm, you get to choose from matte Red & Black color and matte Yellow & Black color. Moreover, you will also get a slightly different design. Apart from the colors, the overall styling remains the same. Although, I do prefer this color combination over the predecessor. Personally, I just love the Red & Black finish over the other one. As you might know, Aprilia SR 125 had some amazing tires. You could simply guide through the corner and the grip was unquestionably awesome! Technically, you still get the same tires, but with some slight changes. Aprilia Storm 125 comes with new chunkier tires. If chunkier tires, it is mostly focused on performance and stability at higher speeds. For the off-roading enthusiasts, these tires are specially designed to do just that. However, there’s a catch. You will get a slightly smaller tire in comparison. Previously, Aprilia SR 125 came with 14-inch thinner tires. But Aprilia Storm comes with 12-inch wider tires. If you didn’t know, the Government of India has made it mandatory to include certain “safety-net” on the bike and scooter over 125cc. Basically, you either get Combi Braking System (CBS) or Anti-Locking Braking System (ABS). All in all, you get a drastically improved braking performance in the real world. Aprilia Storm 125 is a 125cc scooter. So, this scooter comes with the CBS braking. For example: In CBS braking, when a rider presses the front brake in certain stressful situations. Combi Braking System will equally distribute that force in both the front and rear tires. This will reduce the chances of wheel-lock in certain situations. Besides the things I’ve just listed above, everything else remains unchanged. Everything else like the design, the engine, and the performance remain the same. 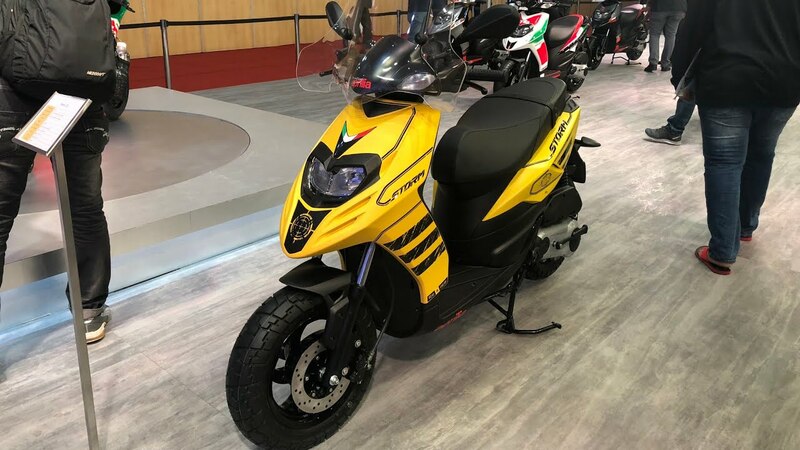 Aprilia SR 125 is powered by 124 cc single cylinder four stroke two valve air cooled engine which can produce maximum power of 9.46 BHP at 8500 rpm and 9.9 Nm at 6250rpm. It uses CVT transmission for more useable power, better fuel economy and smoother driving experience. 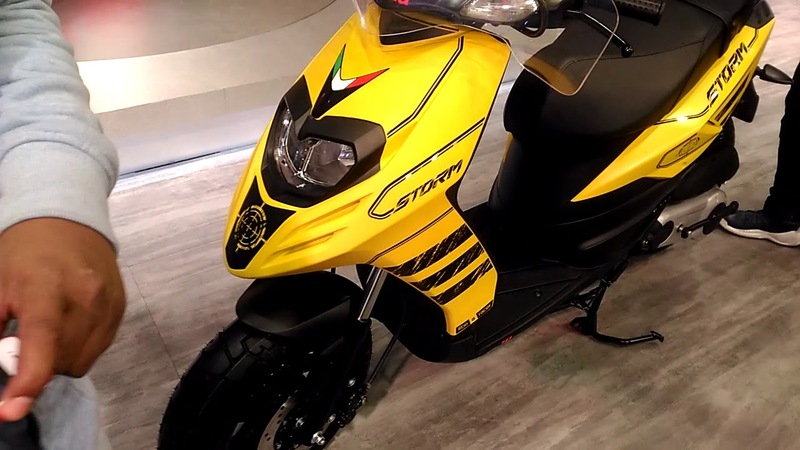 Will Aprilia Storm 125 Come to Nepal? Yes! 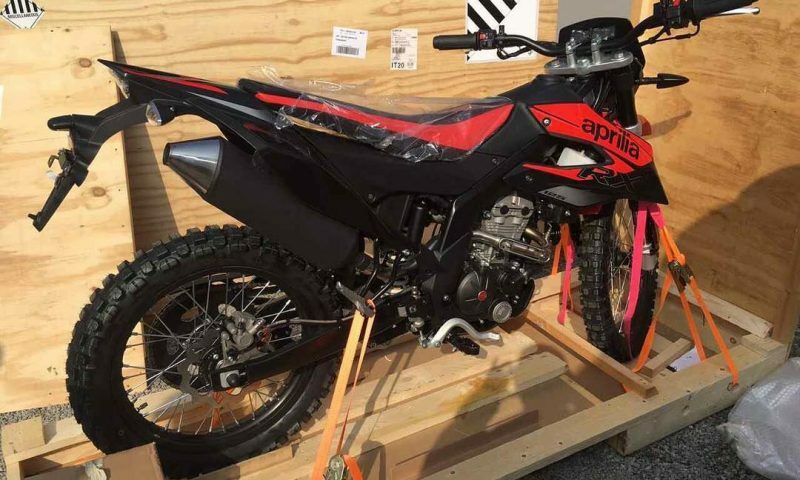 Aprilia Storm 125 is expected to come to Nepal. 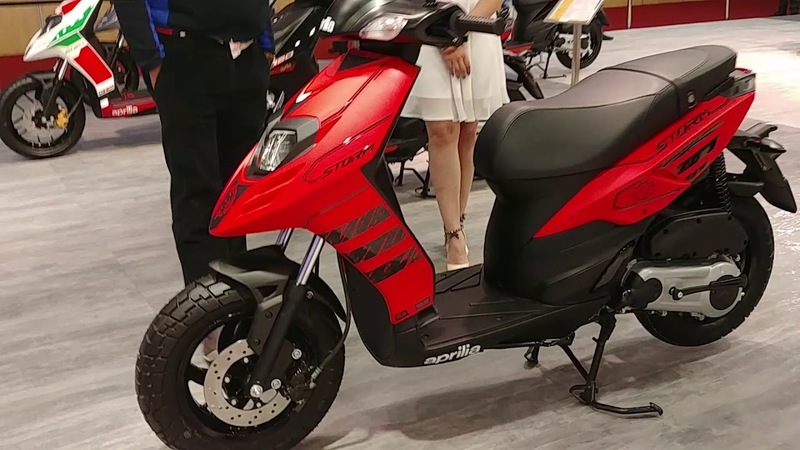 Without any question, Aprilia SR 125 is among the popular performance-based scooter in Nepal. It would strategically make sense to launch it in Nepal. Furthermore, Aprilia Nepal has been dropping hints on its launch through its Facebook page. Alright, when? Well, that’s a bit difficult to say. It might take an additional month or two or longer. Launch date is still up for debate. Rest assured, when we find it out, you’ll be the first to know. Okay, how much? Again, Aprilia Storm price in Nepal is still up for debate. With everything that has been updated including the CBS braking, it is very likely that Storm will cost more than the Aprilia SR 125.